Bandai Namco just released a new trailer for the Sword Art Online: Hollow Realization Switch port. The game was originally released on the PlayStation 4 in 2016 and on Steam in 2017. It recreates the world of Aincrad—the world from the first season of the manga and anime of the same name—although it renames it Aingroud. Compared to Fatal Bullet, the setting is more traditional and the gameplay elements are much more varied. 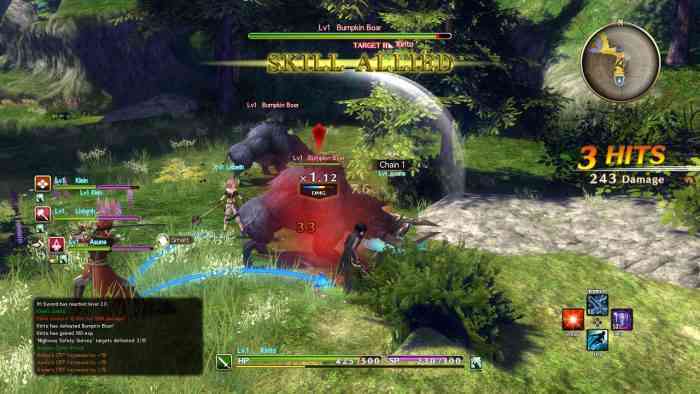 The Switch port, titled Sword Art Online: Hollow Realization Deluxe Edition, contains all of the original game’s season pass content in addition to local wireless four-player multiplayer. It also features the ability to control some sword abilities using the Joy-Con gyro sensors.